Peel and cut mangoes into cubes. 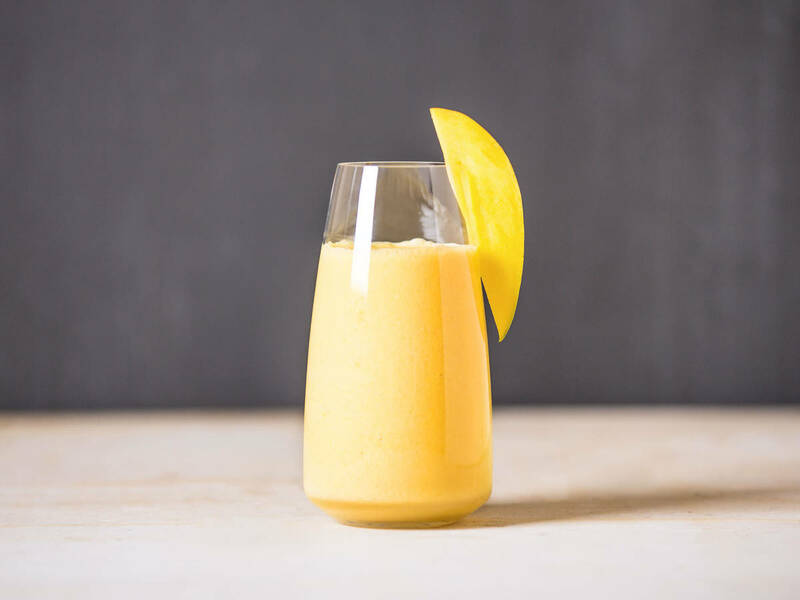 Add mangoes, ice cubes, cold water, honey, and yogurt to blender. Blend on high until smooth, approx. 2 – 3 min. Add coconut milk and blend to combine, approx. 1 – 2 min. Enjoy immediately.